No not this one silly, I'm the slow breastroke kind of girl who doesn't even own a pair of googles! I mean Hannah Young from Wargrave, mummy to girls (aged five and seven) and an amazingly accomplished open water swimmer who will take on this marathon of a challenge in early August - and in doing so, kick start an awesome fundraising effort to get the Robert Piggot Primary Schools a new lido-style swimming pool that will inspire the community to enjoy swimming for many years to come. supporters. While the crew will help her deal with the tide and chart her route, her friends and family will throw her food on a string, help encourage her and ward off loneliness as she swims through the day and night. Crikey. So how does a mummy end up being this mighty? Well, Hannah wasn't always into open water swimming challenges and wasn't a club swimmer in her youth either. But in 2009 she decided she'd had enough of standing on the sidelines watching her sporty hubby compete and entered the Henley Classic Swim. 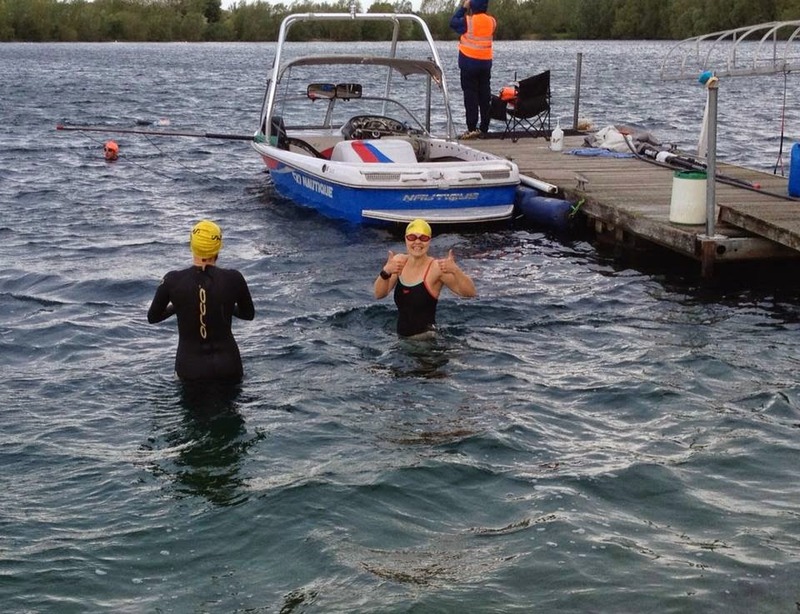 And from there she's gone on to swim regularly in the Thames and complete 'ultra' swim challenges such as the 10 and half mile swim across Lake Windermere. With her Channel swim slot booked (two years ago actually! ), when it was announced that the school her children attend would be moving to a new site, fundraising for a decent accompanying pool seemed like an opportunity too appropriate to miss. As you can imagine, Hannah's training regime is pretty intense. She currently swims up to three times a day - in both the River Thames and at the pool of the local Castle Royle gym - and she also cross trains with weights and spin classes to improve her endurance and cardio fitness (so she can swim faster for longer). At the weekends she drives down to Bournemouth or Brighton to train in the sea - meeting up with many other keen and accomplished open water swimmers that support and inspire her. She's also been acclimatising herself to colder water temperatures over the winter, has attended a swim training course in Mallorca and is trying to put on weight to further prevent chilly water getting the better of her. 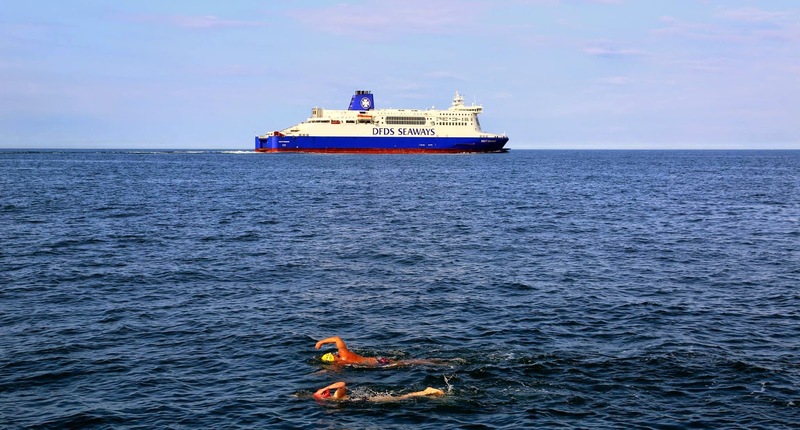 I think you'll agree that swimming the Channel is a pretty phenomenal challenge - not just because of the distance and conditions but because it requires such commitment, determination and ability. In fact, more people have climbed Everest than have successfully swum the Channel. The swimming pool project that Hannah is fundraising for is likely to cost around £200,000 to complete - and she hopes to both raise awareness of the scheme and raise £4 to £5k herself (she's already passed the £1k mark). If you'd like to support Hannah in this epic exploit, you can donate via her fund-raising page here. 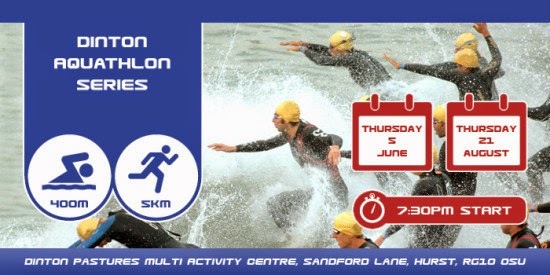 In the meantime, can we get a collective high-five for Hannah as she continues her rigorous training schedule and cross our fingers for a 'neap' tide (when the difference between high and low tide is least, basically the best swim conditions you can hope for) on the big day. Feel fee to leave any comment of support for Hannah in the space below too. She's one impressive mum - so let her know! oh my word. This is an astonishing challenge!! The legacy that she'll be part of is amazing - Wargrave (as you know) is a small village and a pool will be an amazing resource for YEARS to come. Really inspiring lady. Thank you for commenting - I don't get a chance to intro myself as a very small cog in the Team Honk wheel at Britmums Live (you were always already talking to someone, felt a rude to interrupt! ), but look forward to joining in with Reading Team Honk next year! Wow - what a commitment! She sounds amazing. Keep us updated on how she does. I wish her the best of luck. Heavens - some people are made of tough stuff! Good luck to Hannah with the remaining training and of course the big day. Just found this on pinterest, I used to do some training with Hannah when I worked in the gym at castle royle!! I'm sure she completed it in an amazing time, tell her well done and also can you please tell her she has inspired me to take on an ultra marathon swim of my own!